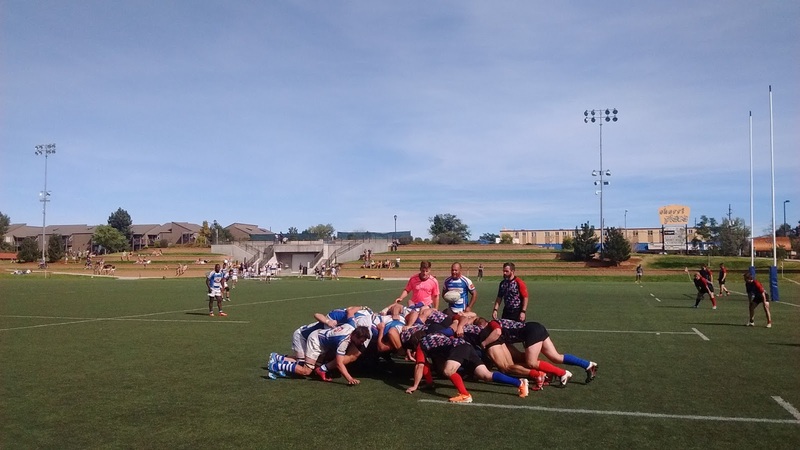 A warm and sunny day for spectators strung along touch and on the Eastside Terrace, and perhaps a bit more heated on the StoveTop pitch at Infinity as Glendale Raptors and Denver Harlequins brought the rugby midday on Saturday. Raptors were unwon and hungry, while Harlequins sought their second victory of the young season. Denver received the starter kick and employed the boot to put the pill in their hosts half of the pitch, but Glendale responded on a fiery counter with three-quarters AJ Miller making space and offloading to wing Kyle Harris, who fed inside center Dewon Reed, and it was Reed who was clear to free Harris for the flyer’s cross-and- grounding, which along with standoff Derek Morris’ conversion had Raptors up, 7-nil, with four minutes off referee Nick Tricario’s timepiece. Raptors showed a willingness to test Quins defense, running from their own 22 and using patient, probing pick-and-goes from breakdown and near channel center smashes for advancement, while Denver’s gameplan was to pin the predators in their own end with lengthy territorial lofts. Morris potted the sticksplitter from 30 meters after Quins were pinged for not rolling away, and 10-0 for the homeside in the 16th minute. 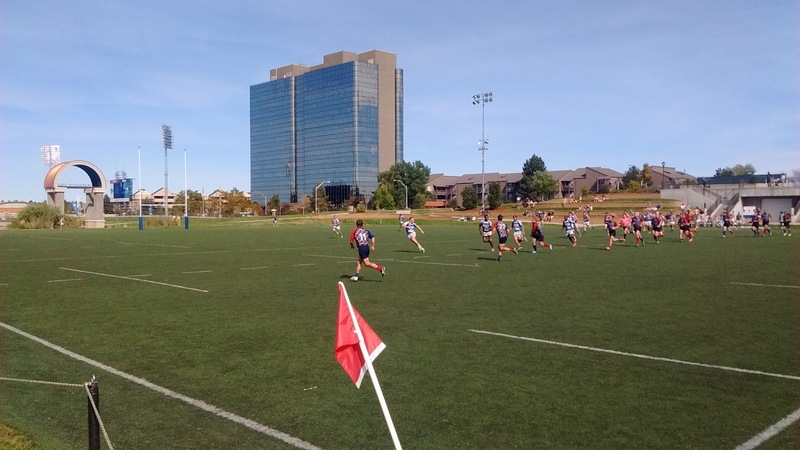 Denver’s openside flanker Jason Burbach opened scoring for the visitors with a penalty struck from inside the ten-meter line outside the right post, and 10-3 at minute number 20 with StoveTop turf warming at the action. More for Quins after a terry-kick was mishandled by the host back-three backs and possession for Harlequins and the scrum-put; travelers slung ball wide pic and wing Paul Bordenkircher dotted in the corner for a tightening of tallies at 10-8, homeboys yet in front in the 21st minute. Inside center Reed extended the Raptor lead with a penalty knocked through from 22 meters and 13-8 at 27’; Burbach got the three back, creasing the uprights from inside the interior left hash, 18 meters out: 13-11 after 31 minutes. 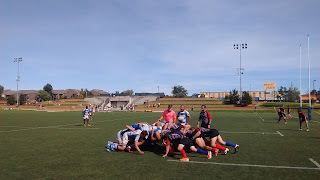 Glendale mishandled a deep kick, and Quins on the front foot inside Raptors 22, but a failure to release ball at tackle had the hosts in possession. Reed put 8-man Devin Vaughter in space for 30 meters to halfway, and the Raptors poured into Harlequins territory with a will. Raptors turned over, but Quins clearance to their own 30 meters line setup a Raptors lineout. Possession exchanged via knock-on, but given right back to the home team by a Denver knock; Glendale won the feed in the set, seven meters out, and a slick inside switch had the Raptors fullback clear to step inside a stopper for the try that made a scoreline of 18-11 at Tricario’s halftime signal. Glendale looking keen with ball in hand, while Harlequins choice of terry-kicking working well on occasion, but as often as not, that strategy returned the pill to their adversaries also. Harlequins drew close when Bordenkircher’s inside switch with replacement wing Sylver Romero put Romero clear to finish swift, and 18-16 the sig-figs in the 56th minute. 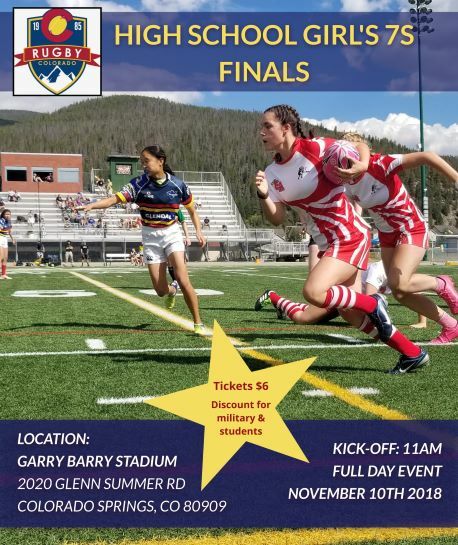 Glendale upped its margin as Reed tacked on three more after a sticksplitter from just outside the Denver 22 meter line: 21-16 on the hour mark. Reed’s penalty goal at 62’ saw Raptors increase their advantage to two scores at 24-16. Glendale sealed the win with a pair of touch downs: one by Miller for his brace at 67’, and the second by Reed himself for his own conversion and 36-16 with less than 10’ to go. Harlequins would get the last score when inside center Zeke Dalton ran a cutter for thirty, evading numerous tackles en route for his grounding and Burbach’s added deuce, and a final record of 36-23 for Raptors at Tricario’s last blast.